The guy everyone can do an impression of is back with a brand new stand-up tour. A show that will change your life and how you perceive your place in the world. Bit much? 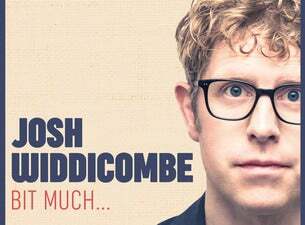 Fine, it’ll be a very funny night of grumbles and jokes in which Josh will finally tackle the hot comedy topics of advent calendars, pesto and the closing time of his local park.